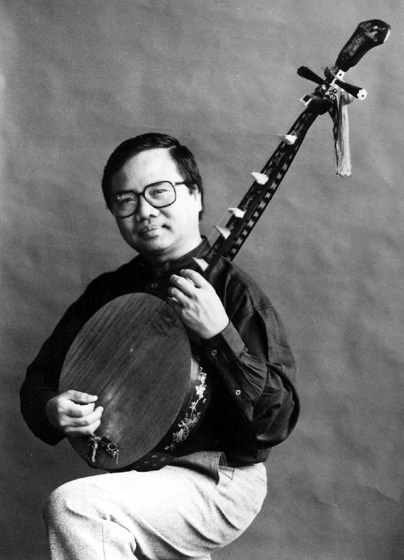 Phong Nguyen is a traditionally trained musician who studied with a village master beginning at age 5 in his native Vietnam. As a Buddhist novice for ten years, he learned the chant and instrumental accompaniment of nhac le (ritual music). He took up Vietnamese theater music at age 13 and went on to perform both the cai luong (reformed theater) and hat boi (court musical) styles professionally. 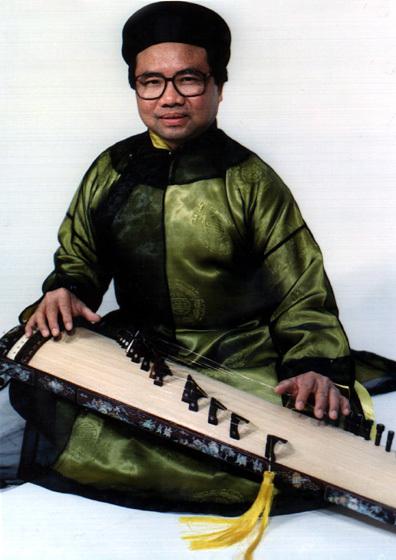 He sings a large repertoire of dan ca (rural folk songs) and is a master of dieu, the complex modal system of nhac tai tu music, a more formal tradition still active in the United States. He has studied with mountain tribal musicians and learned the klong put (bamboo tubes) and t'rung (bamboo xylophone). 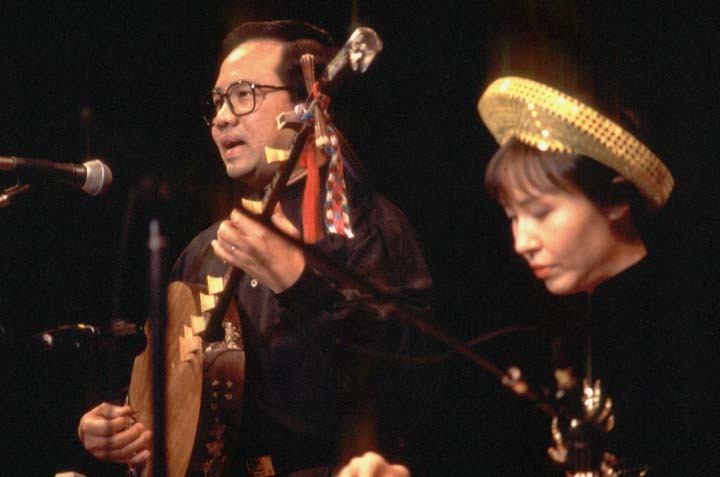 Nguyen points out that because separation of social classes is minimal in Vietnamese society, folk music and art music are more similar than in Western societies. "The folk music is principally vocal," he said. "Meanwhile, in art music, there's vocal and instrumental music together. Folk songs are sung without accompaniment. They're chanted in the fields while people are working. They don't bring instruments with them." 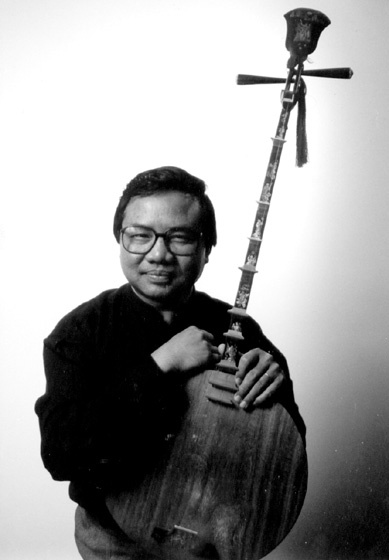 Nguyen is competent on many Vietnamese instruments but often focuses on the seventeen-string dan tranh zither and the two-string dan nguyet, the long-necked "moon" lute. 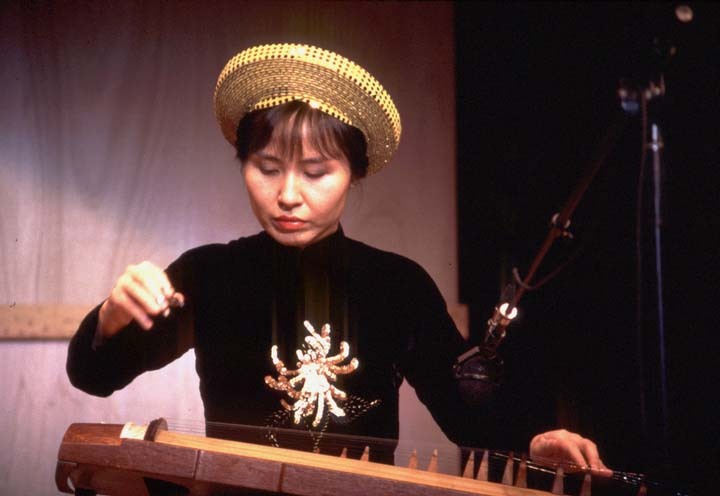 "In Vietnam, the music is played with added elements in order to improvise," Nguyen said. "So, the performing style may change according to the artist. We cannot say that Vietnamese music is classical music. It evolves according to a period of time. A piece composed in the sixteenth century, when it is interpreted by a present-day musician, takes a new form because it is improvised upon." 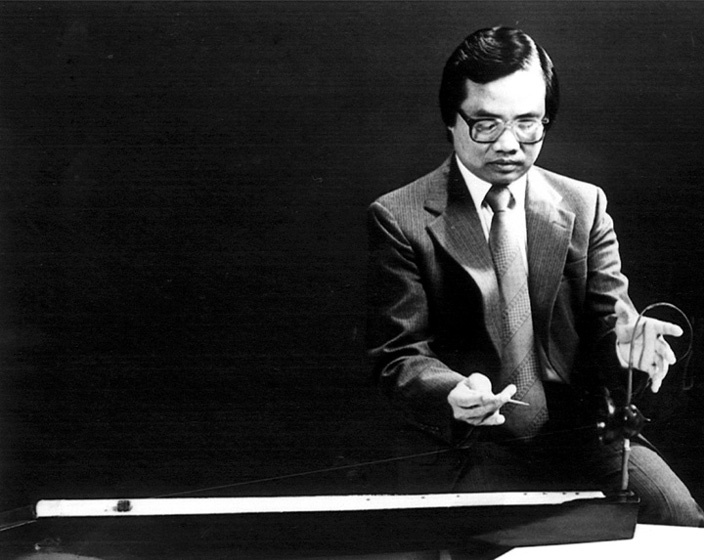 Nguyen left South Vietnam in 1974, the year before its fall to the Communists. He first stayed in France, where he performed frequently and earned a doctorate in music from the Sorbonne University in 1982. He then moved to the United States and taught at Kent State University, the University of Washington and UCLA. 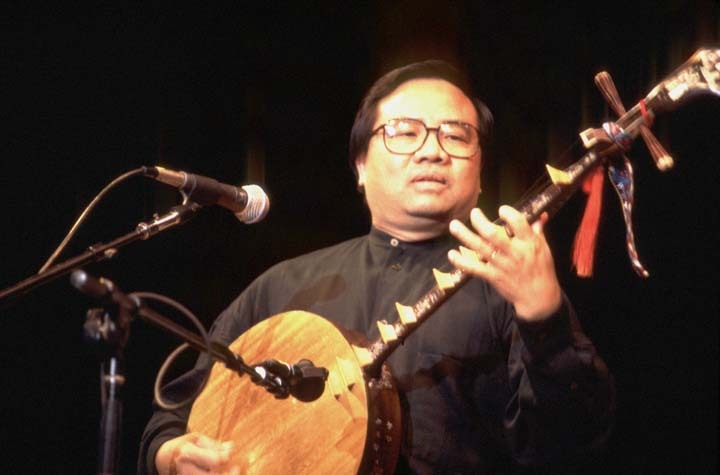 He has performed and taught extensively across the United States, reaching both American audiences and Vietnamese Americans, who have limited access to their musical heritage. He also has recorded for several labels. 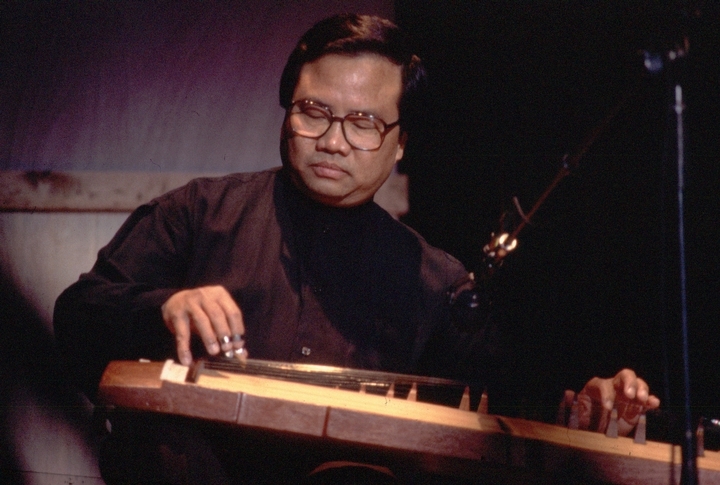 In the 1990s, Nguyen made research trips back to Vietnam, which enabled him to work with many local artists, village masters and scholars whose life work has focused on indigenous musical traditions. Through his fieldwork, he has documented different performances as well as substantial historical information, much of which was lost or forgotten during the war years. He has also helped to introduce Western musicians to audiences in Vietnam. He presented the American concert pianist Margaret Baxtresser at Hanoi's National Theatre in 1994 and met with Vietnam's minister of culture and representatives from the Hanoi Conservatory of Music. "In any country in the world, there are influences from foreign countries," Nguyen said. "So, there are two currents — an indigenous current, from the country itself, and the elements from other countries: Indian and Chinese music. 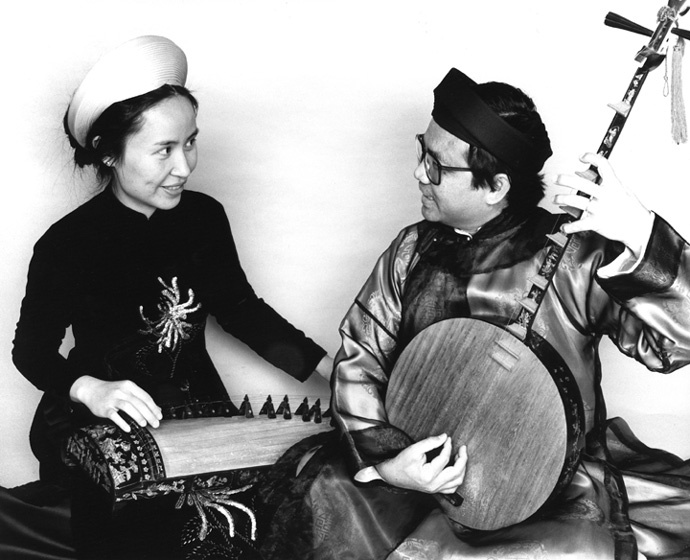 Vietnam was a kind of confluence between these two musical civilizations. But the indigenous elements are always predominant." Nguyen, Phong. Eternal Voices. New Alliance Records. ______. From Rice Paddies and Temple Yards. World Music Press. ______. 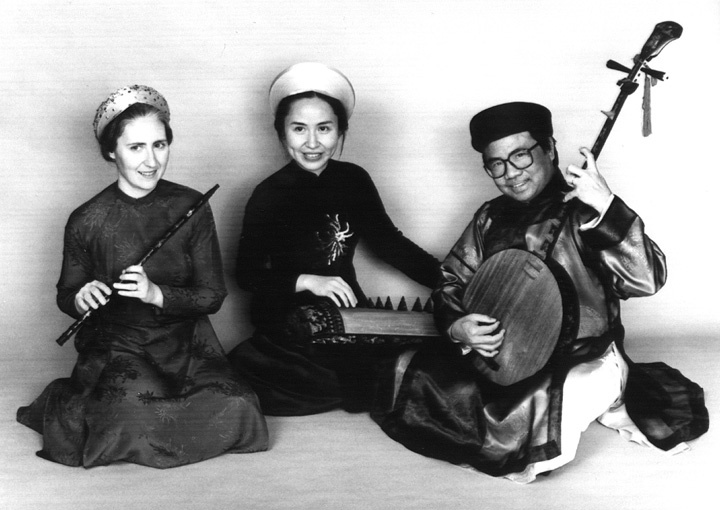 Music of Vietnam - The Phong Nguyen Ensemble. 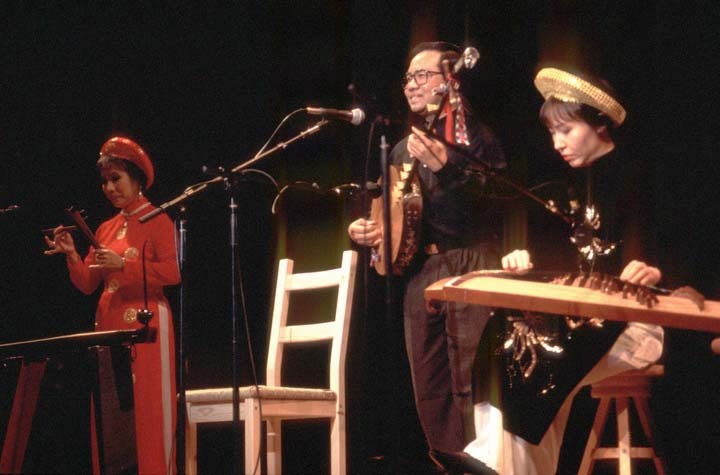 The New Americans Series, World Music Institute. ______. Song of the Banyan: Folk Music of Vietnam. World Music Institute Latitudes LAT 50607.